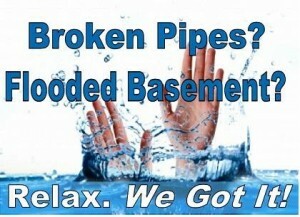 Pets are not the only things that spring a leak; houses do too! Whether the water is from an unexpected rainstorm, sump pump back-up, water heater, sink or toilet– we can solve these stressful challenges! Here are the steps we take to restore your floors and home! First, we extract the unwanted water using our specialized state-of-the-art truck-mount equipment. Then, we remove all wet padding and tackless strips and discard it. After drying the back and top of carpet, we apply fungicide to the baseboards, floor and carpet. We then place high velocity air movers and dehumidifiers to thoroughly dry the structure as fast as possible. These steps prevent any mold or mildew from forming, keeping your home to be a safe and healthy environment.